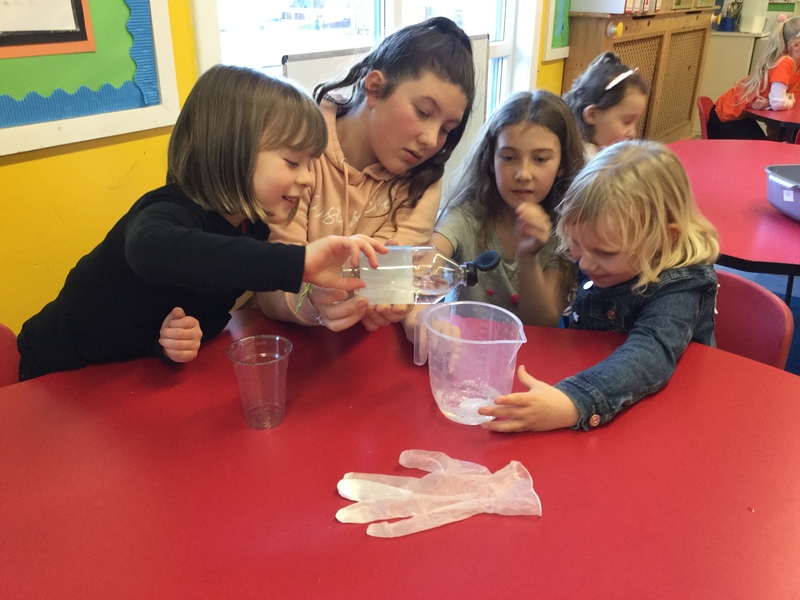 For S.T.E.M. 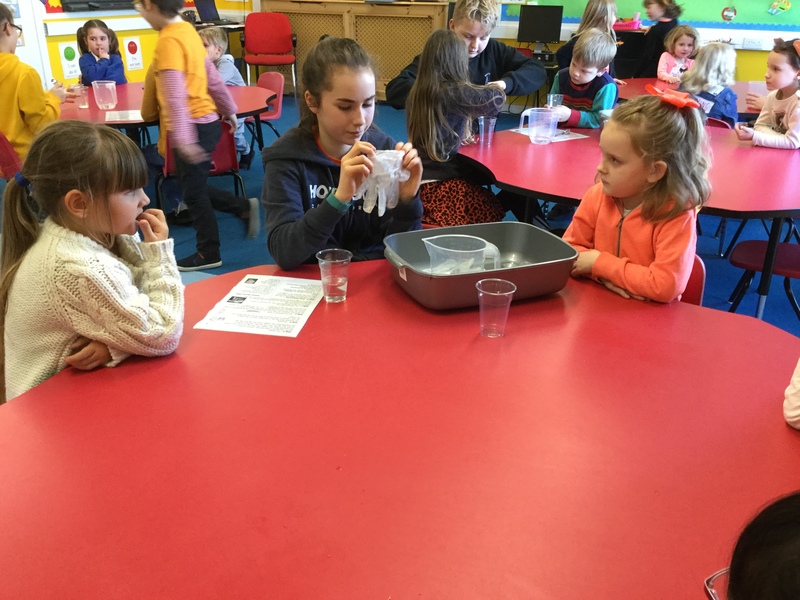 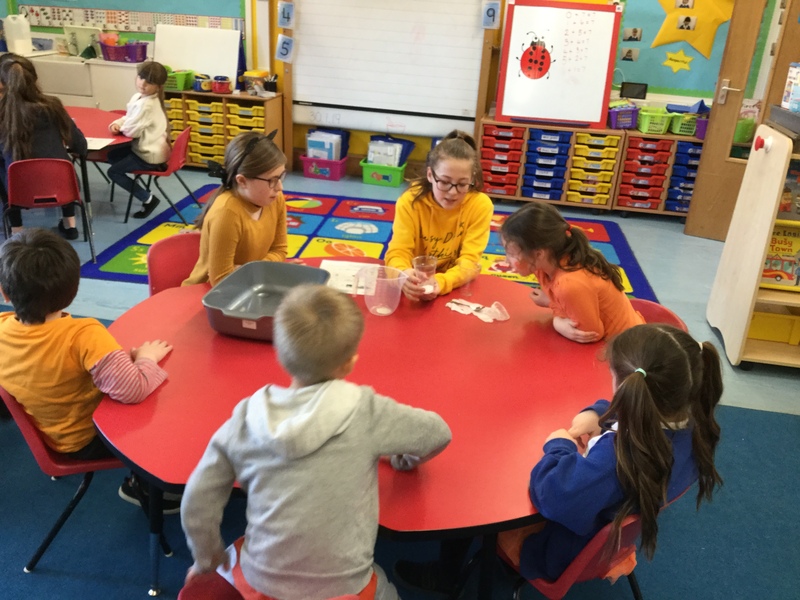 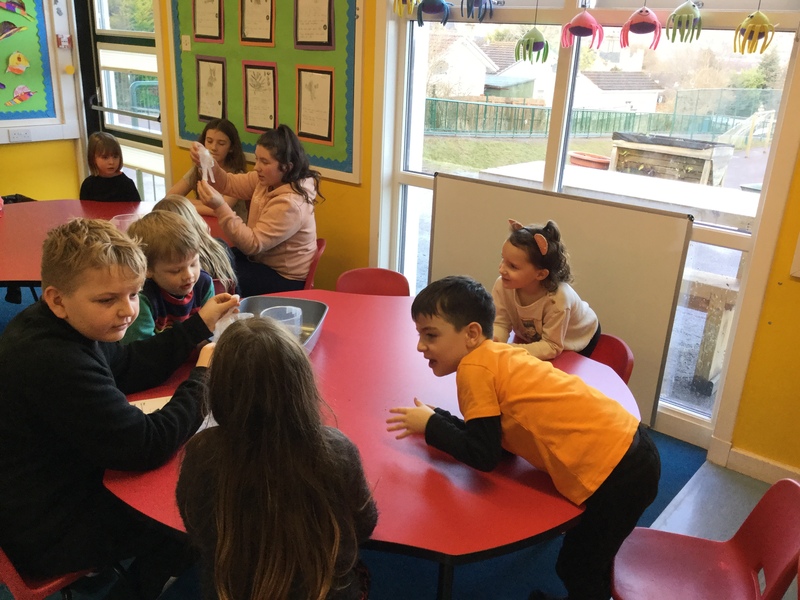 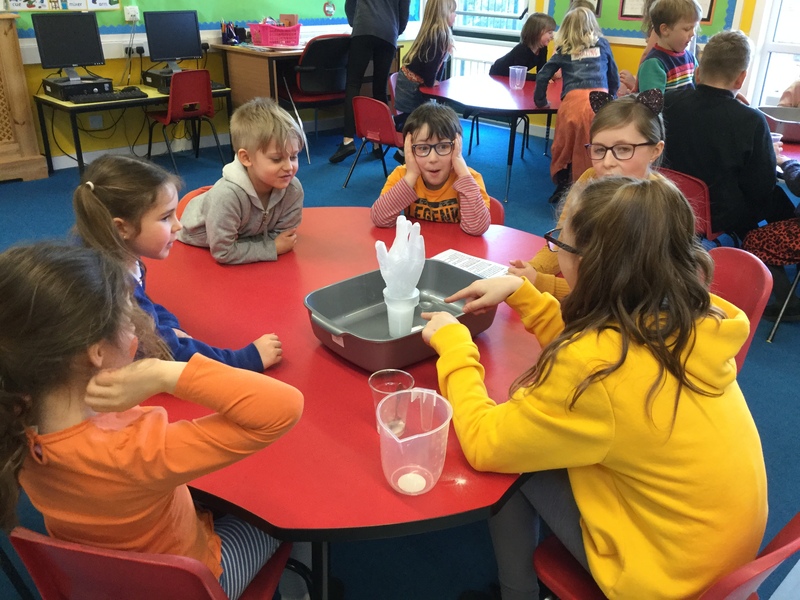 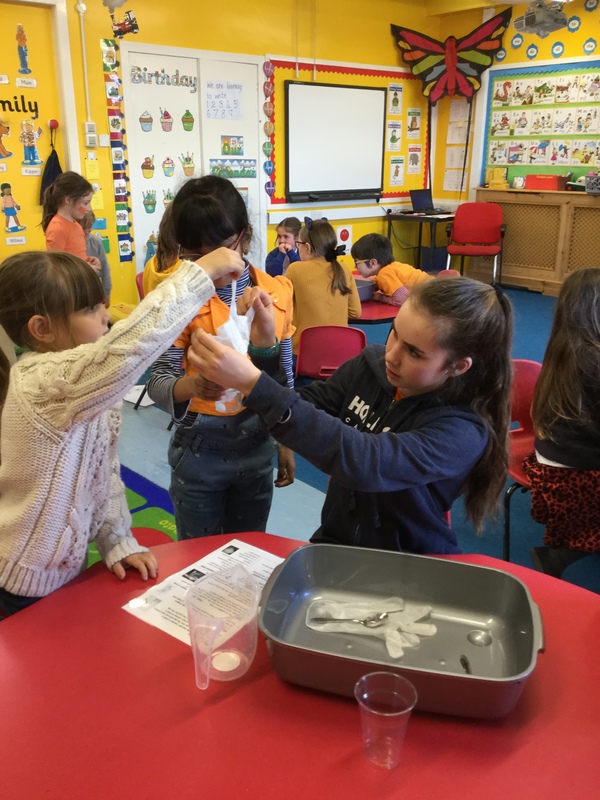 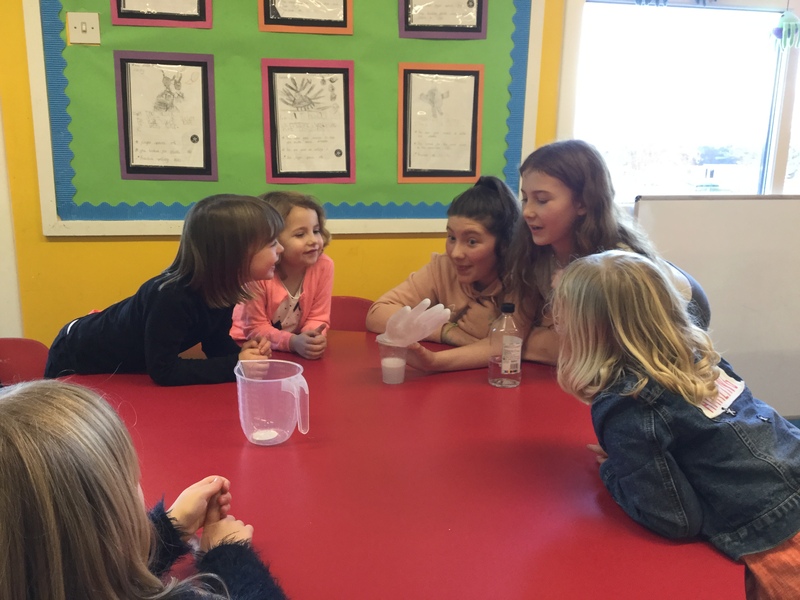 time this week the primary sevens came to help us conduct an experiment. 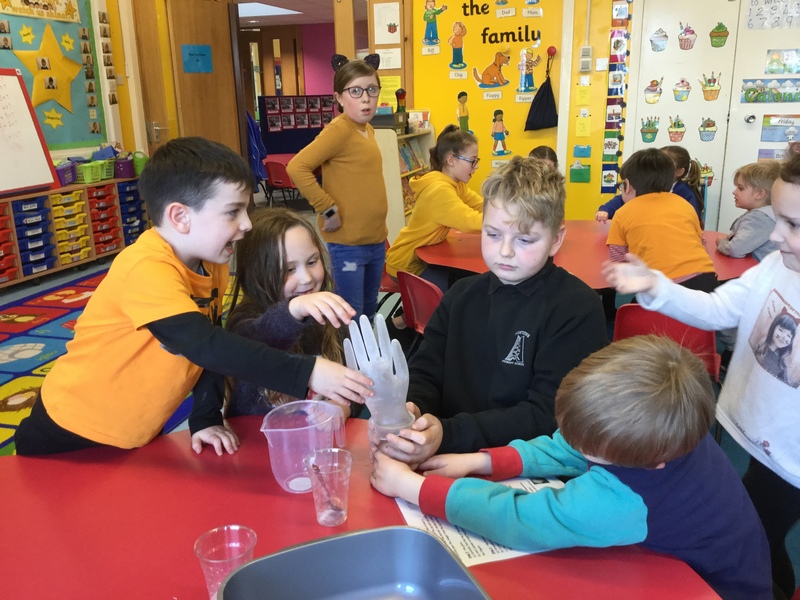 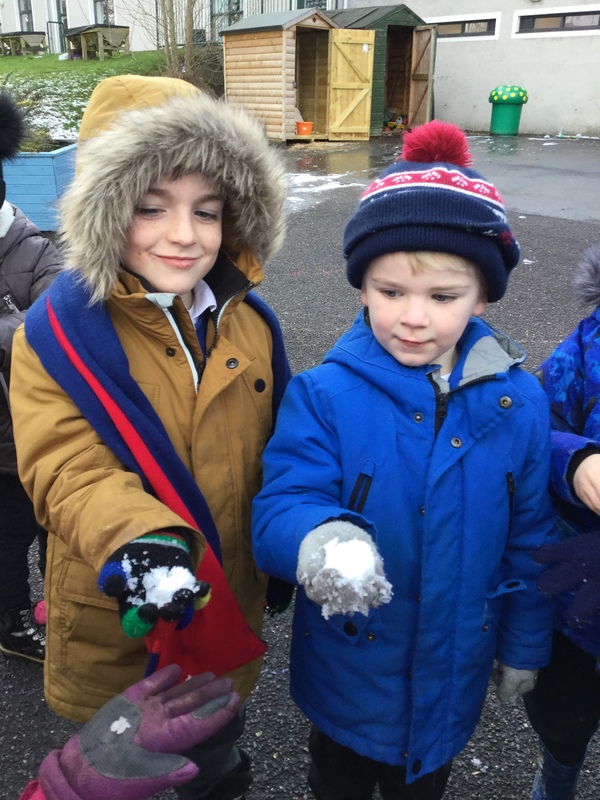 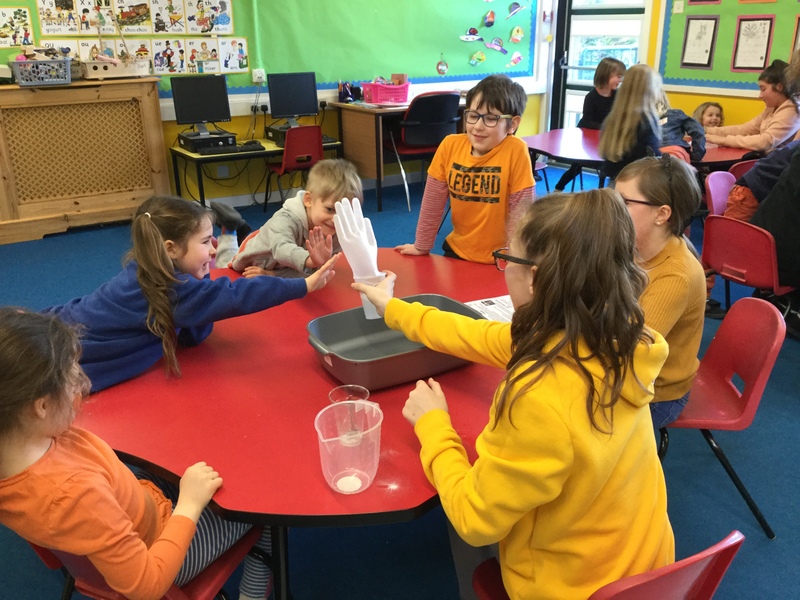 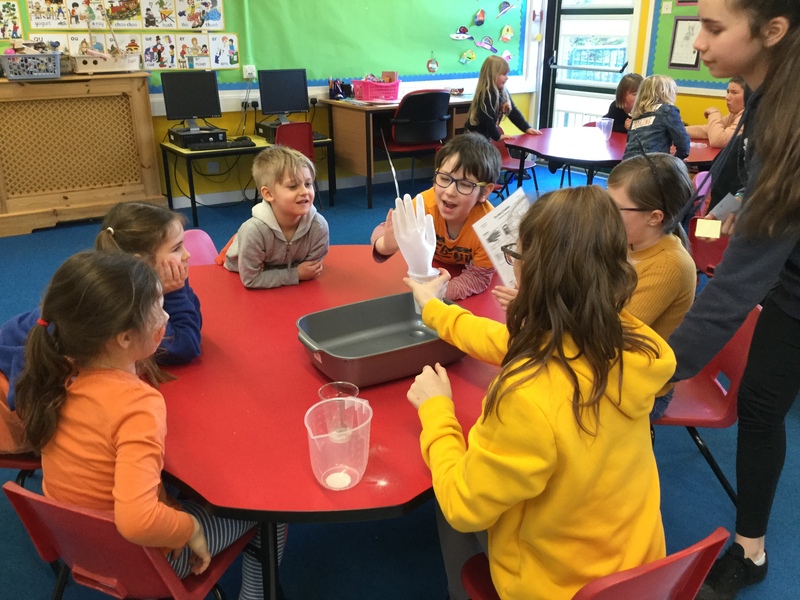 We put vinegar in a plastic cup, sprinkled bicarbonate of soda into a rubber glove and placed the glove over the lip of the cup. 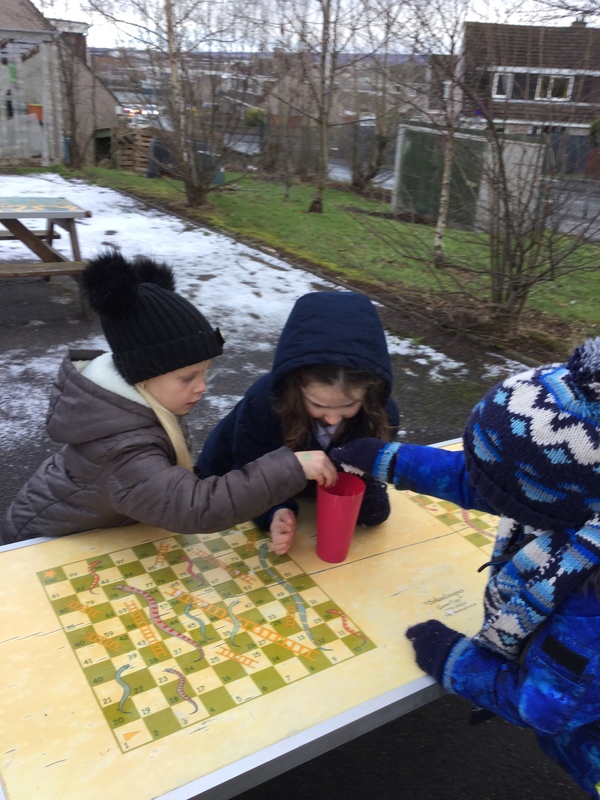 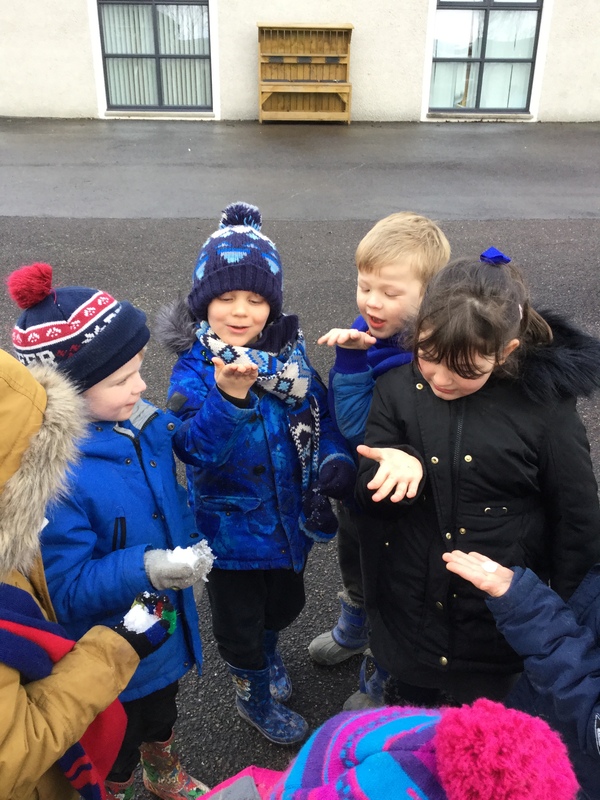 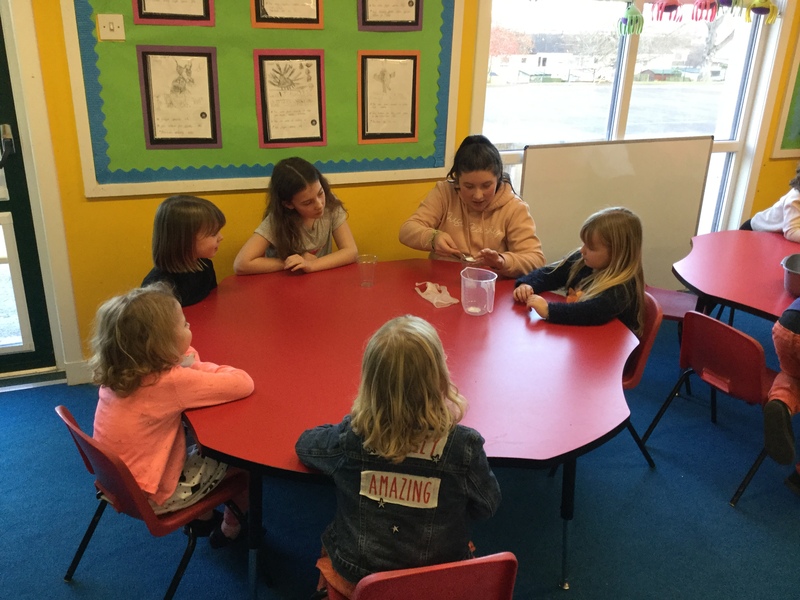 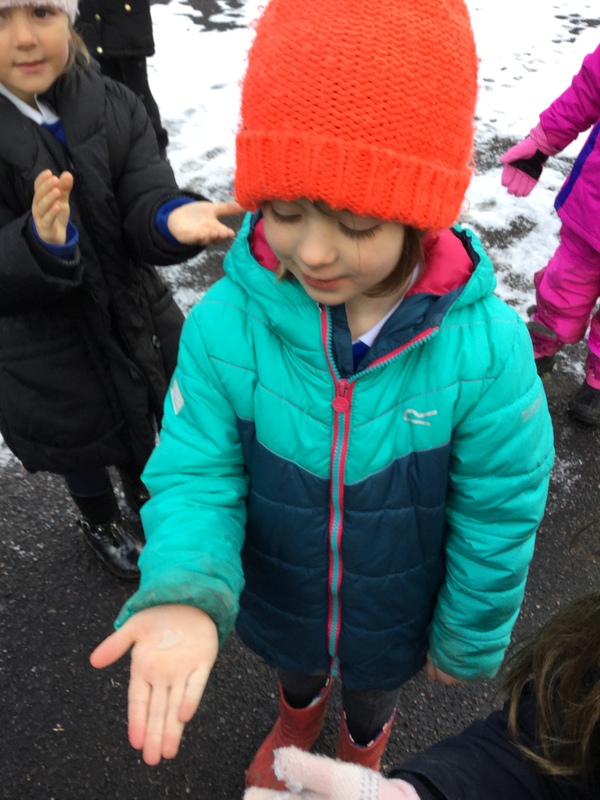 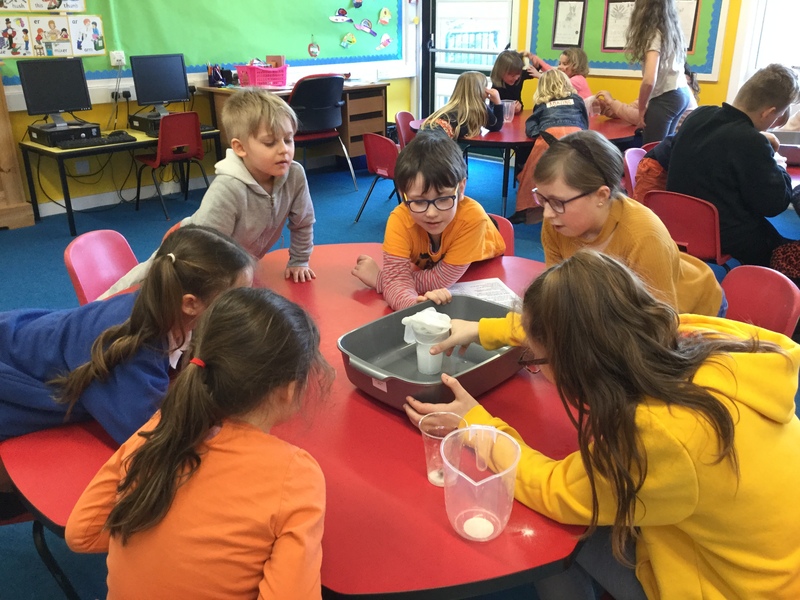 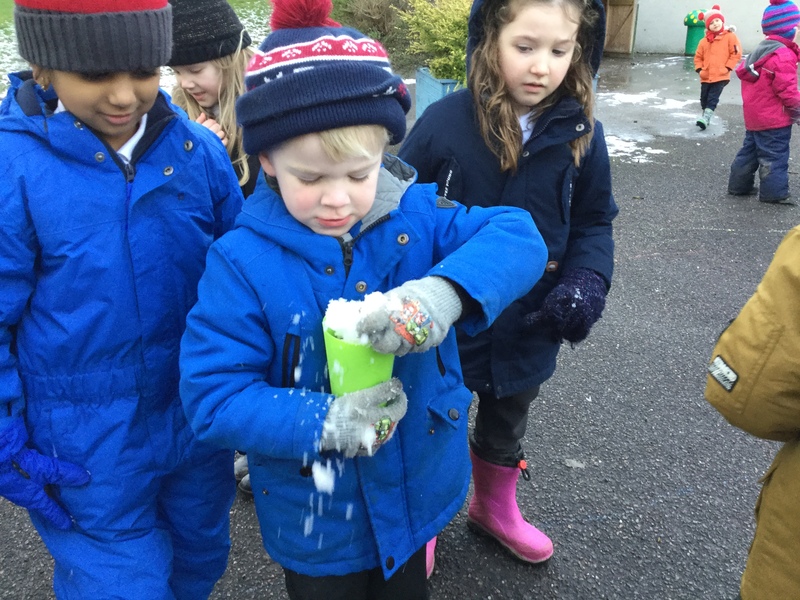 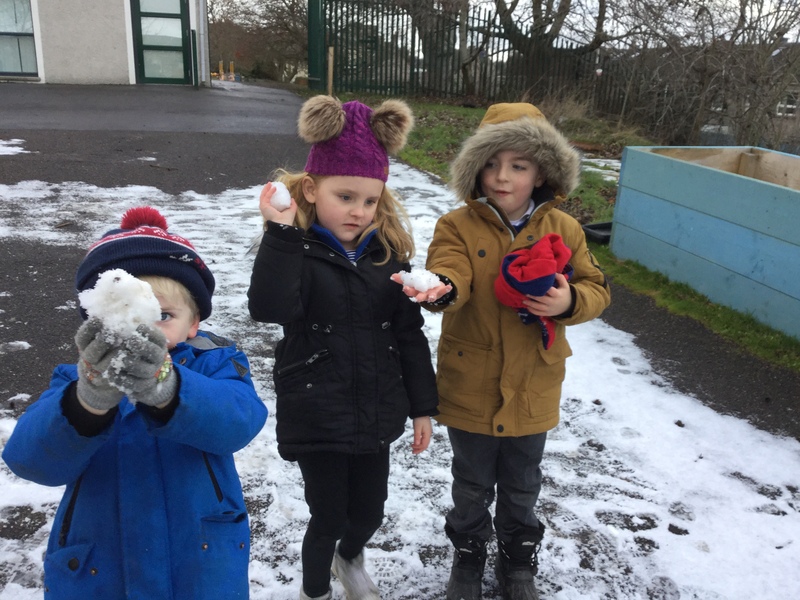 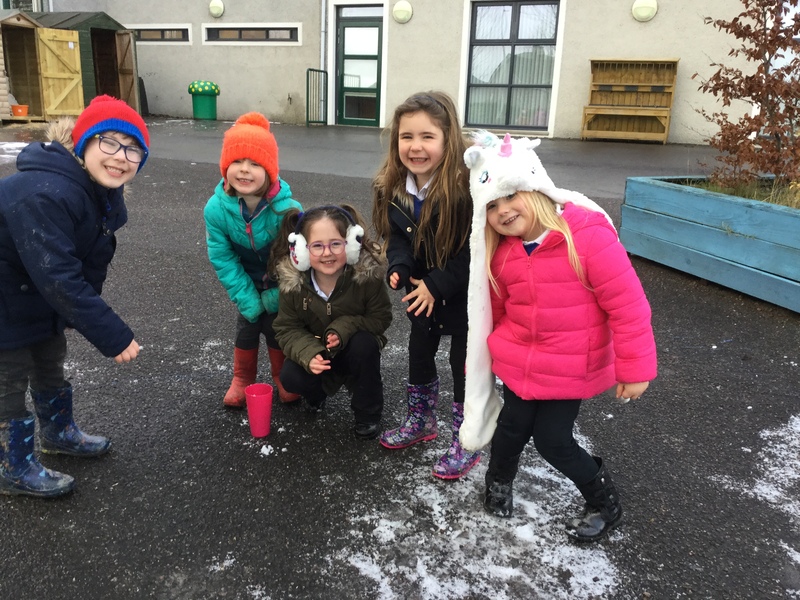 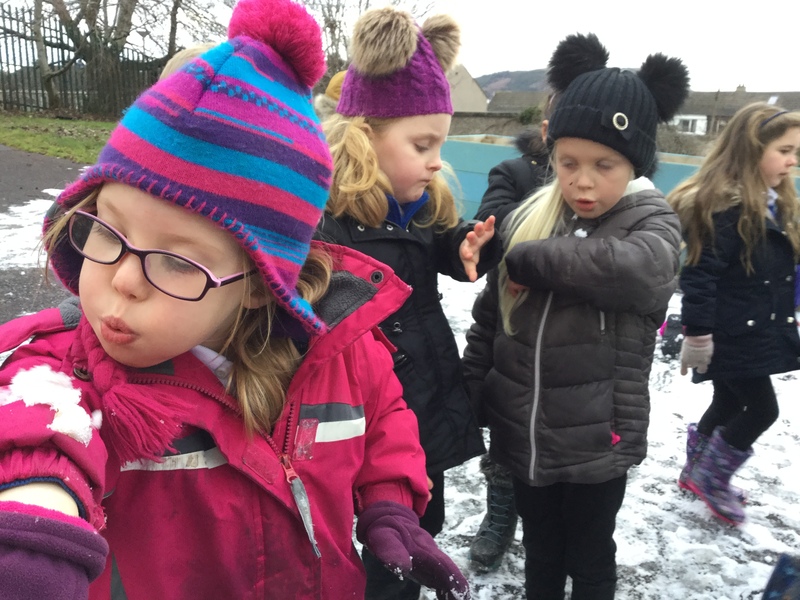 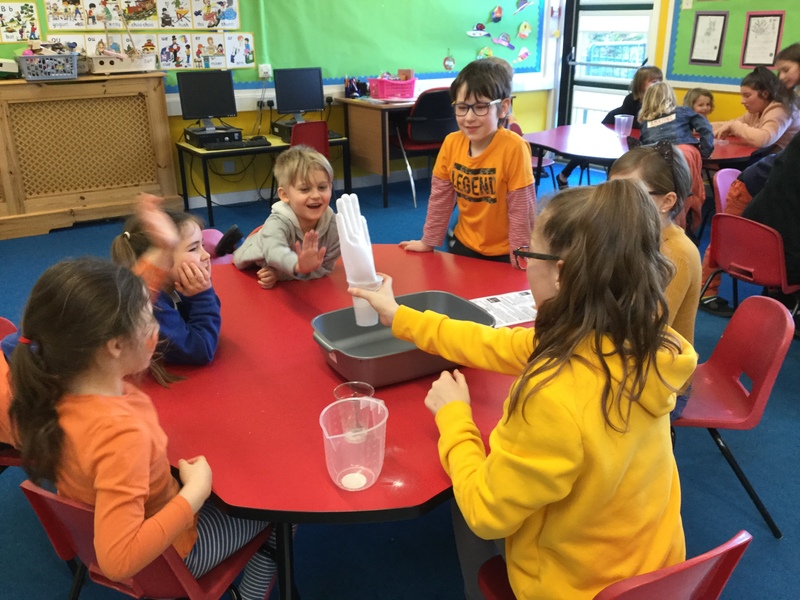 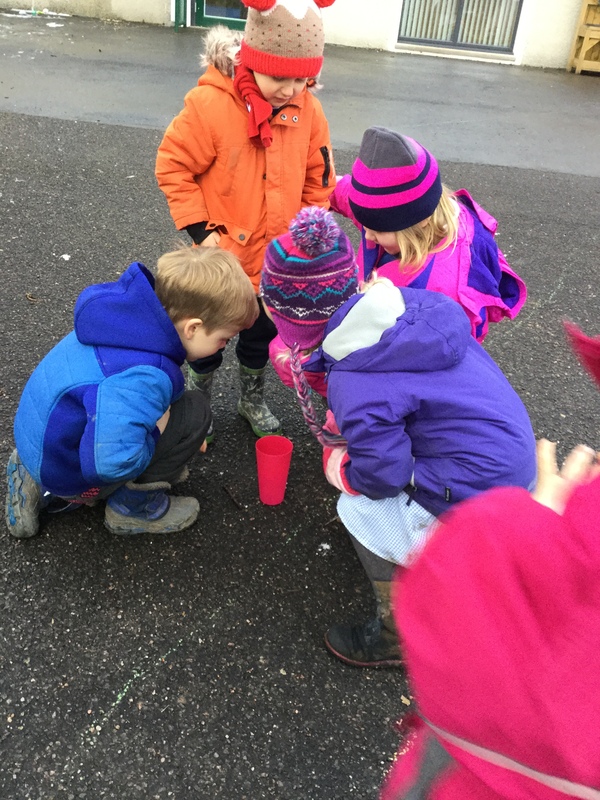 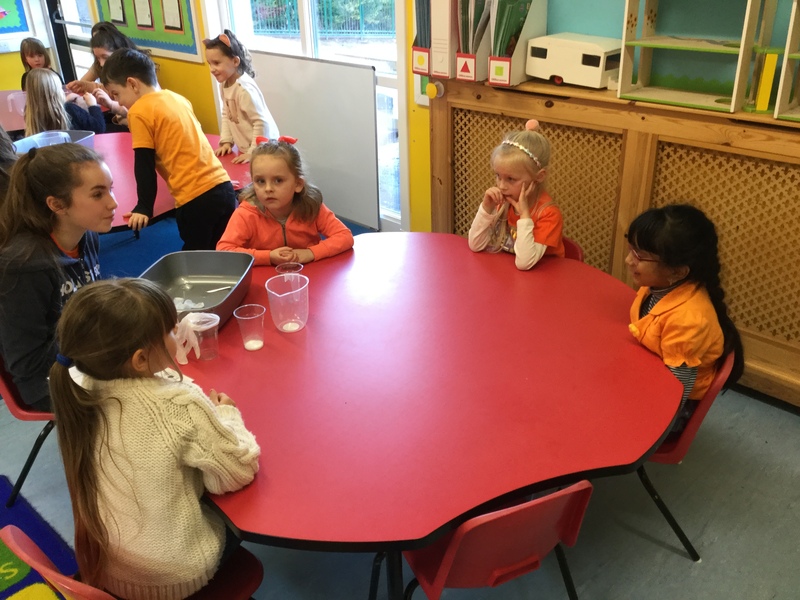 The children had to make a prediction about what might happen when the powder fell into the cup of vinegar and we had some very thoughtful suggestions. 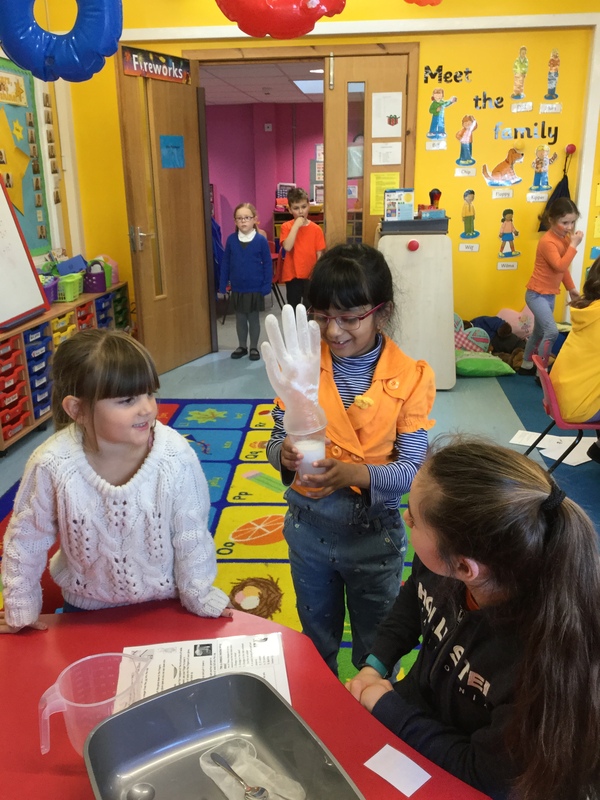 We were amazed when the glove inflated. 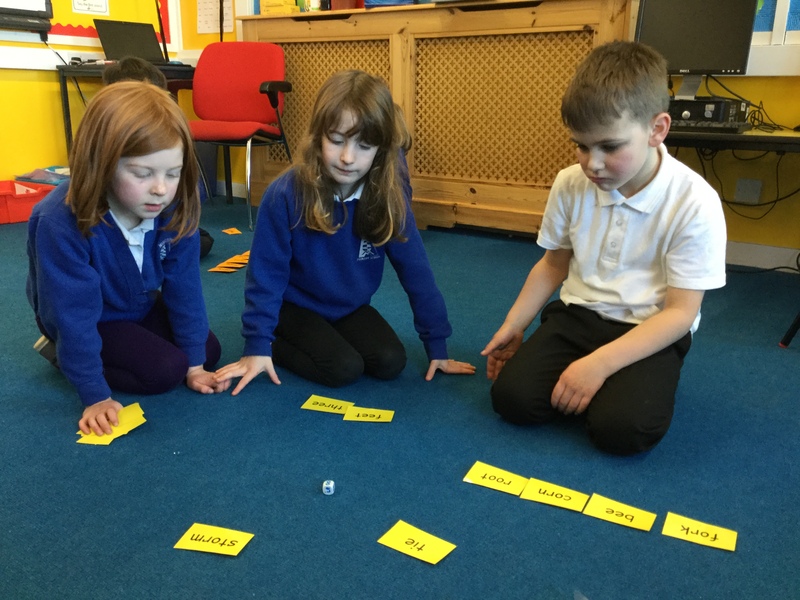 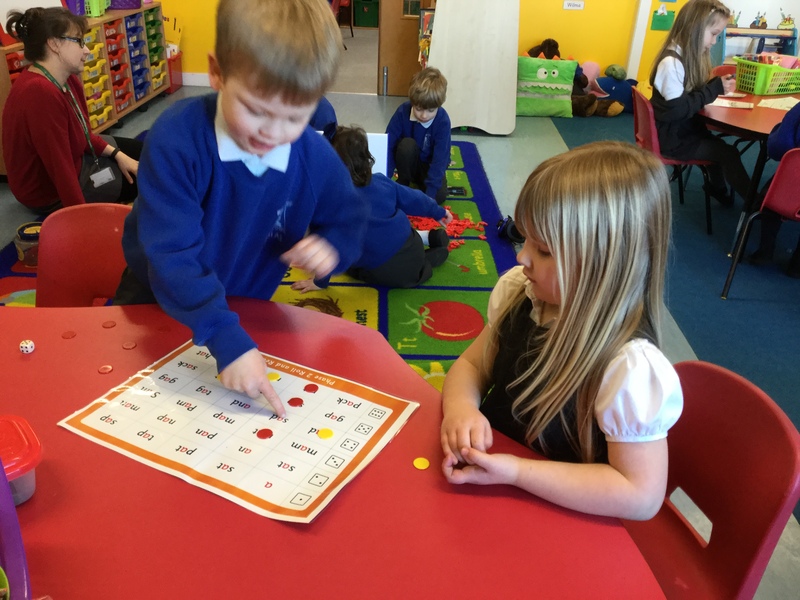 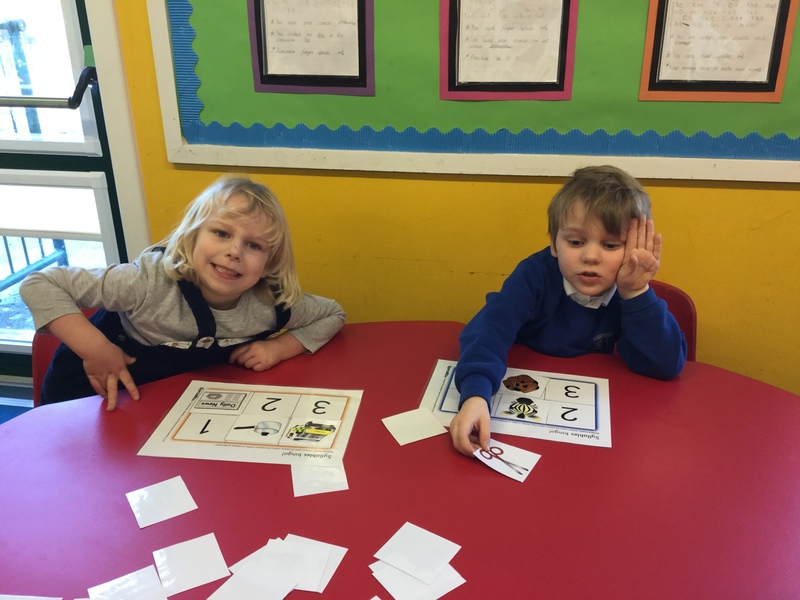 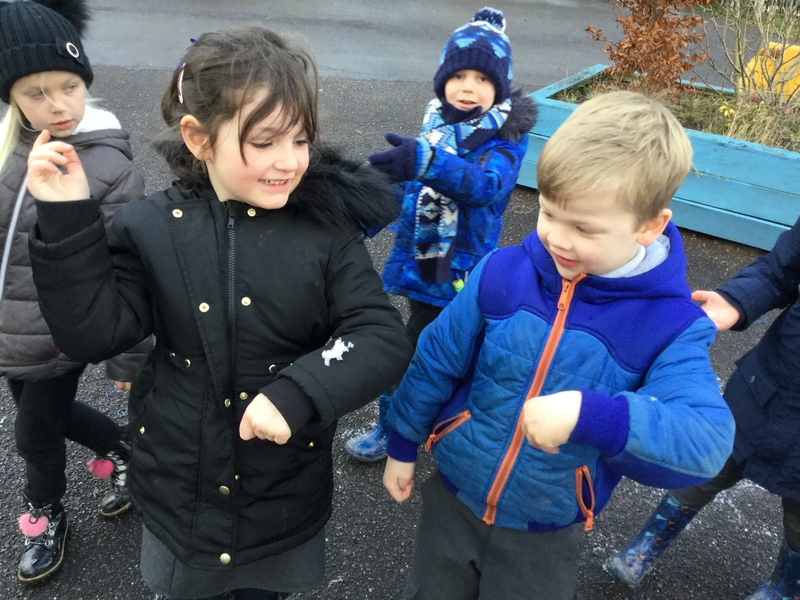 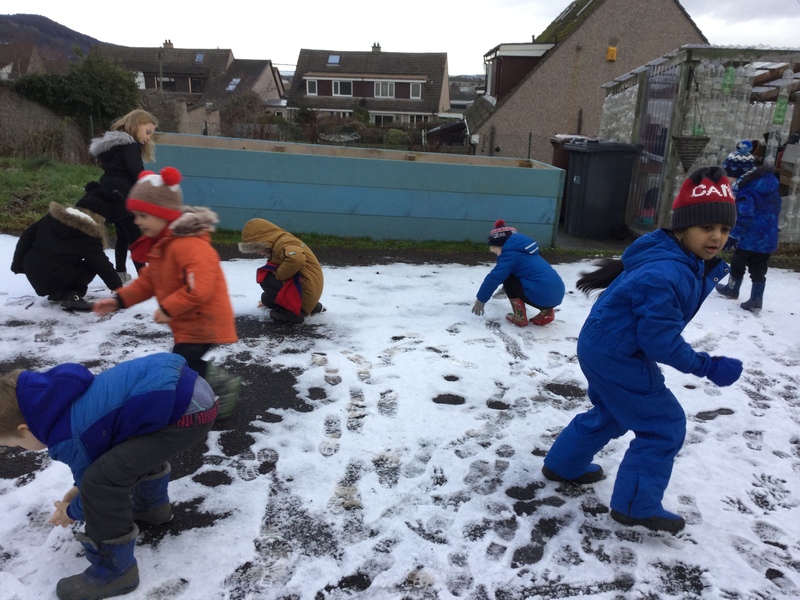 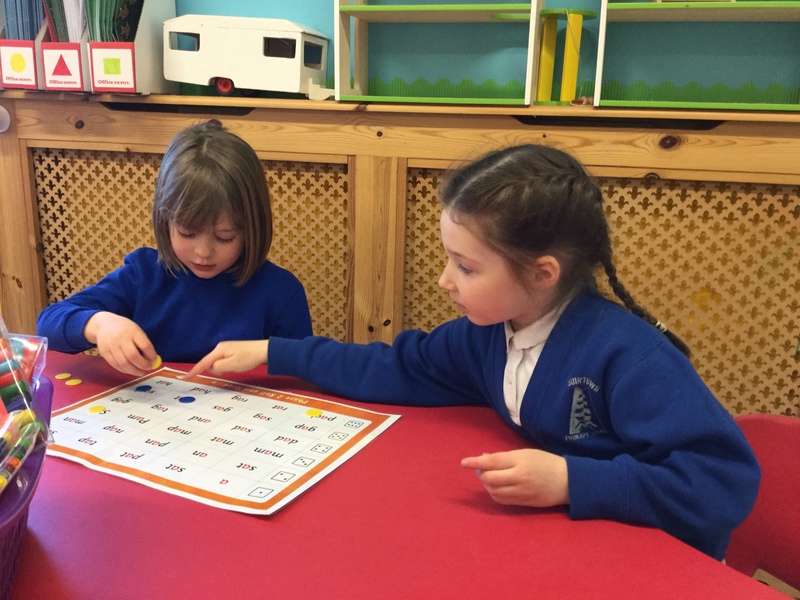 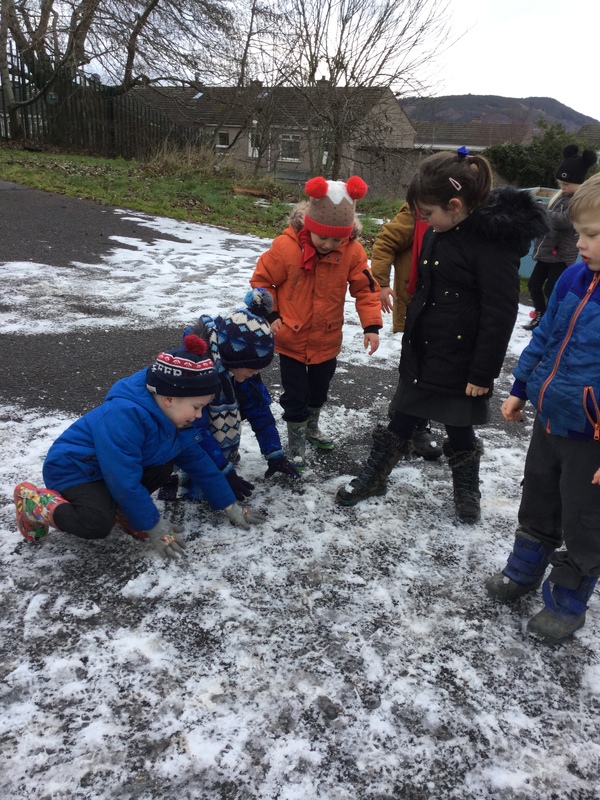 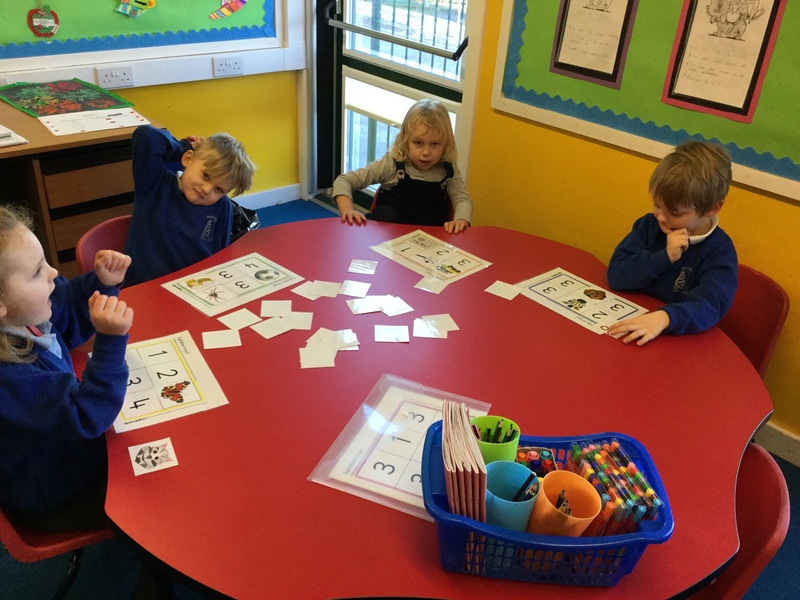 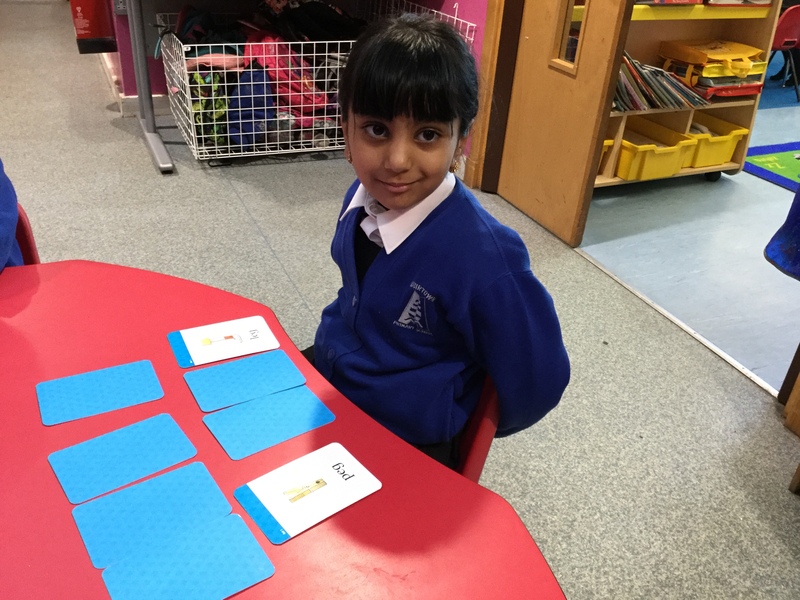 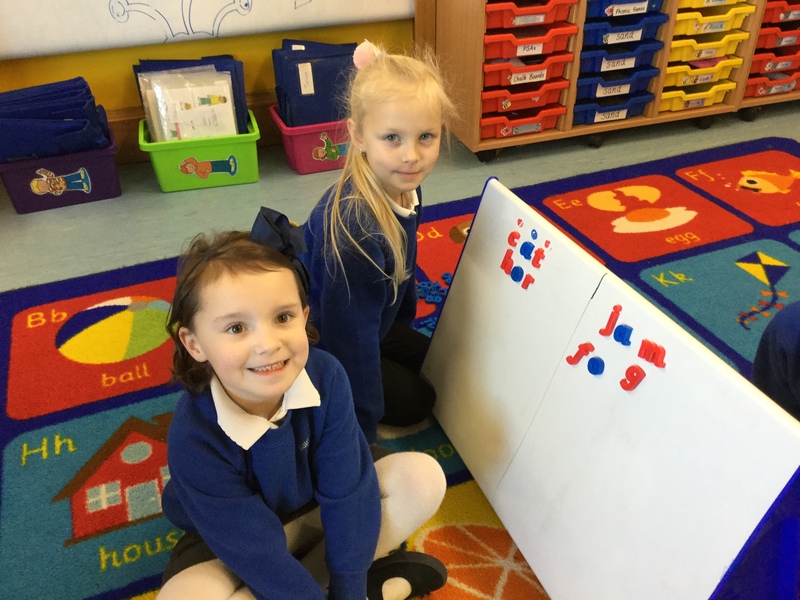 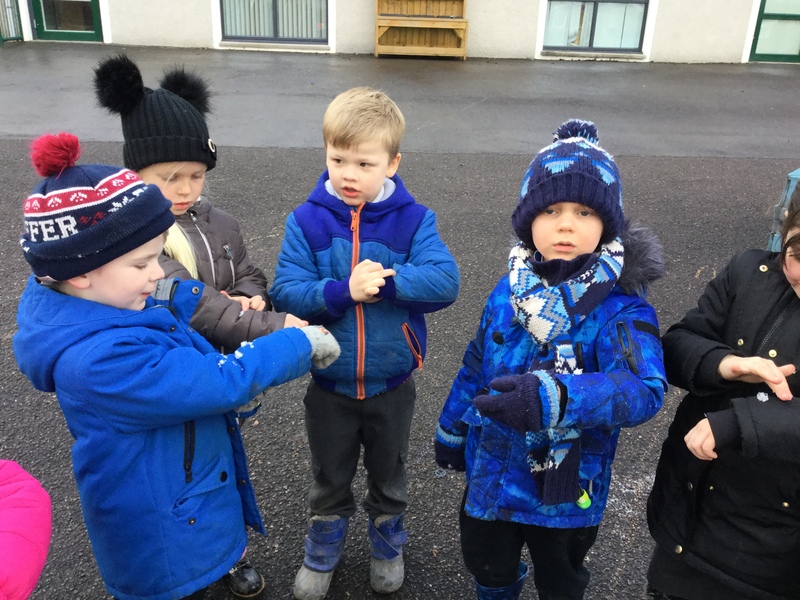 On Thursdays, both of the primary one classes join together to play some literacy games. 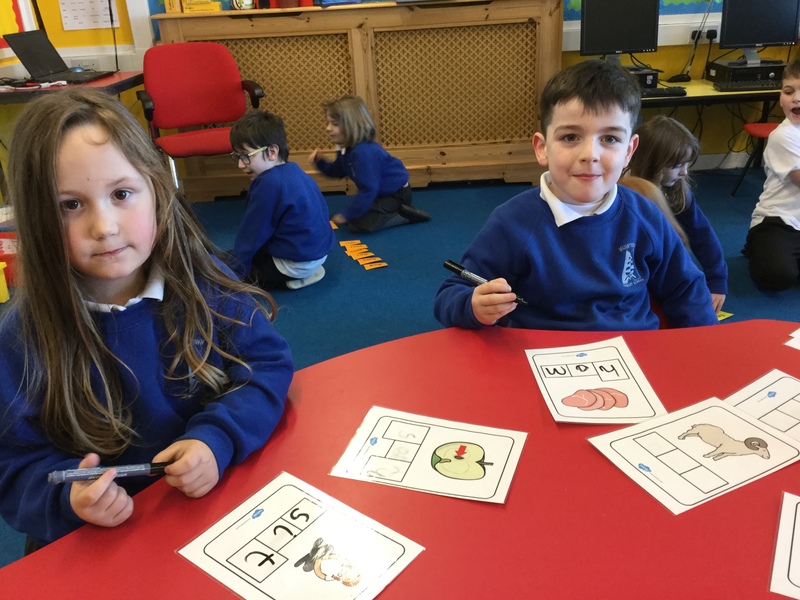 We have lots of fun practising at blending sounds together, finding rhyming words and writing our letters. 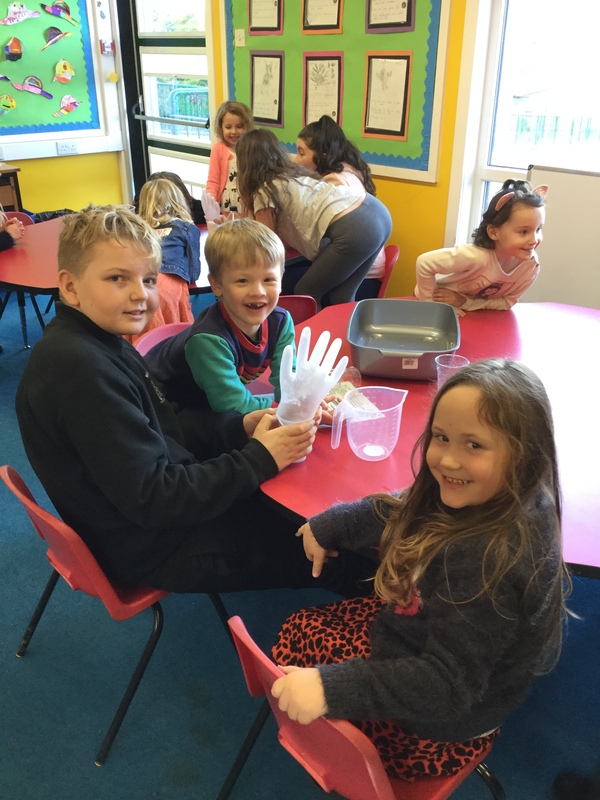 We had a great time getting dressed up as characters from Roald Dahl’s stories. 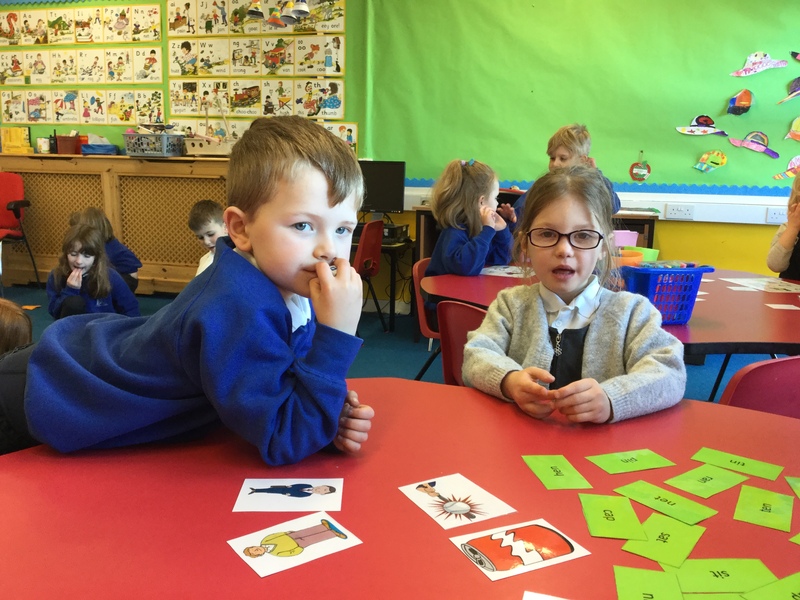 We have been learning about people who help us in our community. 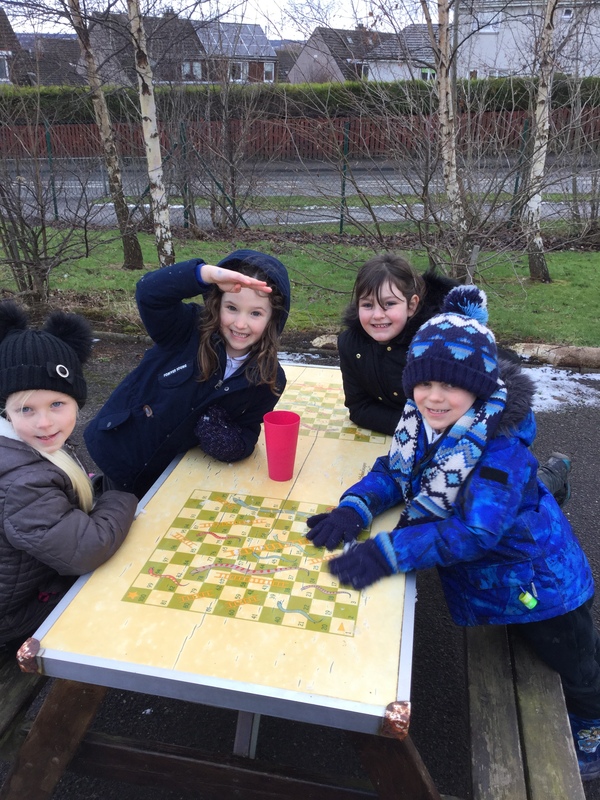 We received visits from Steve, the police officer, and Mrs Edwards, our crossing patroller.